The user-friendly, effortless and affordable way to make your workspace 30% more efficient. You don’t need CAD skills and a degree in architecture to use Accordant. Our simple and intuitive drag-and-drop plans, easy to run reports and dashboards all form part of an interface that thinks like you do. We have all the tools you need to really understand your workspace and plan for its future growth. Accordant is not licensed by user giving you the flexibility to give appropriate tools to everyone that needs them. Workspace management can be team work not just something a few experts do. Everyone can have access to read-only information for directory services. Team administrators can have limited access to view and update their own information. Full drawing management capabilities separated from day-to-day tasks. 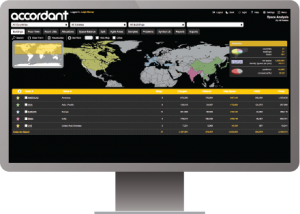 Accordant is the only officespace software solution in use by organisations with fewer than 1,000 employees right up to the largest multi-nationals. It's simple, scalable and affordable. Want to know where everyone sits and what space is available? 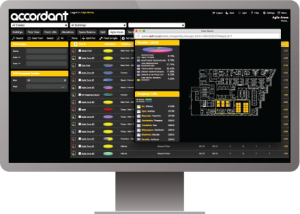 Accordant can give you the answers you need. Are moves becoming more complicated? 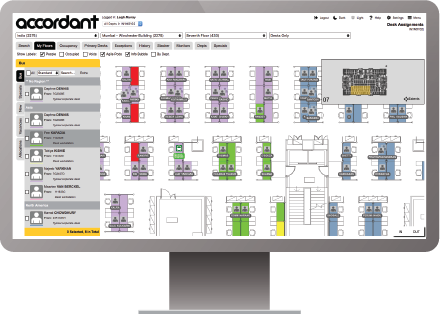 With Accordant you can quickly plan and implement move scenarios. Do you need to get a handle on your space? 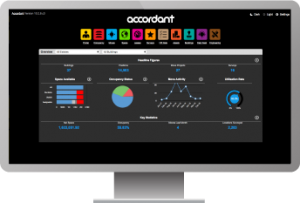 Accordant helps you keep track of your space and allocations with ease. You'll be managing your space in just a few short weeks. Upload drawings in half the time, with our innovative, optimal poly-lining system. Quickly input data through system integration or spreadsheets. Multiple modules to manage all of your workspace needs. From creating and implementing moves, keeping track of your leases or simply searching for someone Accordant puts all of your workplace data in an easy to reach place. A 100% web based solution to view information, make changes to current data and create a range of reports all through a standard web browser and best of all no 3rd party plug-ins are required. Contact us about our free trial programme. Give us a plan and some simple data and we will give you a fully functioning instance to evaluate. The quick setup time of Accordant means that's an offer you won't find anywhere else.